The culture of Instagram influencers can already seem artificial. People who aren’t necessarily famous amass tens of thousands of social-media followers and translate that into free products, sponsorships, and endorsements, across fields as diverse as beauty, food, fashion, even pet products. 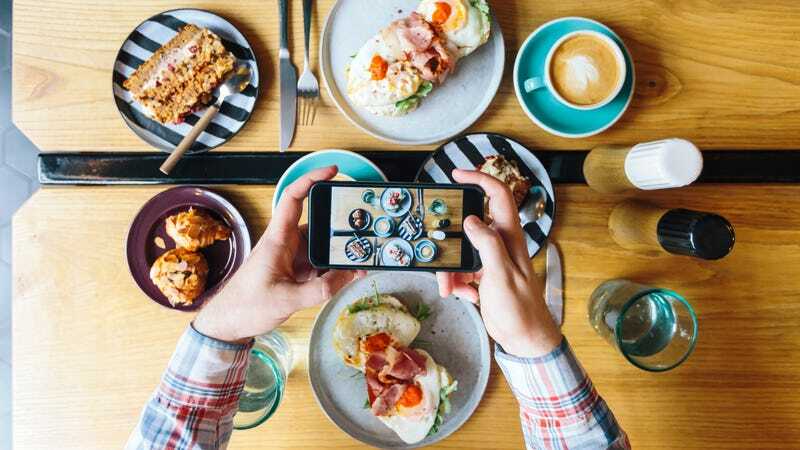 A New York City-based data engineer has now proved just how “fake” that world can be: He programmed an Instagram influencer bot, then leveraged its following into free meals from some of the city’s best restaurants. What’s surprising here is not just the automation, which is impressive, but how Buetti was then able to leverage the account into actual, free food from restaurants. After his account bulked up its follower count, he wrote code so that the account would automatically find Manhattan restaurants on Instagram, and reach out to them with a semi-customized message: “We would love to make some sort of deal with you to sponsor your establishment. … In exchange, I would ask for a free experience, small gift card, discount, or coupon to your place.” It worked, as his Gmail inbox filled up with offers. How do you get in on this? Well, you can either become a social-media influencer thanks in part to your semi-famous parents’ illegal bribes to get you into college, or you can try emailing Chris Buetti to learn his methods. His email is at the bottom of the Medium post.